The LiteTouch™ Global Training Academy (by Light Instruments Ltd.) offers basic dentistry courses for laser beginners and continuing education for laser users, as well as advanced programs for experts. These courses include instructor-led classroom lectures combined with hands-on practical sessions. The academy offers dentistry courses and training programs led by key opinion leaders, which are especially suitable for practitioners seeking to expand their clinical knowledge. It provides a first-of-its-kind education program for specialists seeking to understand best practices and clinical solutions for specific procedures in their specialist areas (e.g., endodontics, periodontics, pediatric dentistry, restorative and oral surgery, aesthetic dentistry, and more). The LiteTouch™ Training Academy also organizes a number of meetings and conferences to improve LiteTouch™ clinical knowledge while encouraging networking and an exchange of experiences. In the academic field, Light Instruments Ltd. has partnered with several world-class laser dentistry institutions as well as international scientific dental laser societies. In addition, Light Instruments has launched the LiteTouch™ Global Training Centers – a continuing education concept comprising a worldwide network of academic institutions, training centers, and private experts. 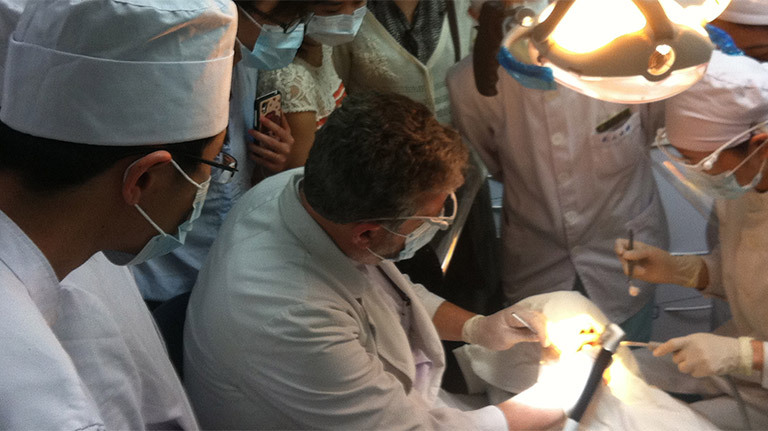 The centers provide basic and continuing education dentistry courses, alongside practical clinical laser training. The course is for beginners and new laser owners, covering laser physics principles, Er:YAG laser interaction with hard & soft tissues, and applications in different dentistry fields. The course includes theory lessons and hands-on sessions. The course is for experienced laser users, covering the use of LiteTouch™ Er:YAG laser applications in various dental specialties: pedodontics, aesthetics, etc. The course includes theory lessons and live training with patients. The course is designed for experts and has been tailor-made by experts in the same field. Covering all theories and protocols related to using LiteTouch™, the course includes theory lessons, live training with patients, and analysis/discussion of the participants’ clinical cases.